Seventeen patients with locally advanced or metastatic renal cell carcinoma (RCC) were enrolled in this phase II trial. The purpose of the trial was to assess the efficacy of the administration of oral GD0039, and to further assess the pharmacokinetics and pharmacodynamics of this drug. Patients were given an initial dose of 37.5 μ g/kg b.i.d for 3 weeks followed by one week off in each cycle, with the treatment continuing until disease progression or adverse effects. All 17 patients discontinued treatment due to disease progression or toxicity. Adverse events such as fatigue, nausea and diarrhea were common but generally mild. 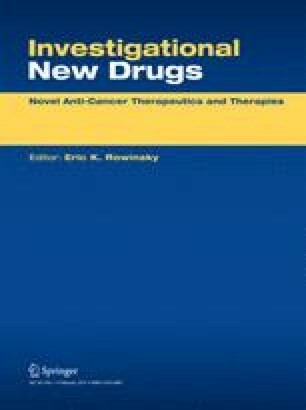 No evidence of anti-tumor activity of GD0039 was seen in this study.